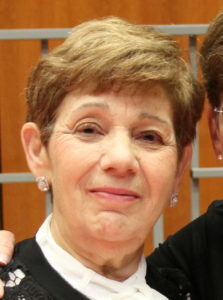 Anna Dubrova, Founding Conductor and Music Director, received her undergraduate and graduate degrees in choral conducting, music theory and piano education at the School of Music and the Academy of Music in the Ukraine, Russia. Anna gained extensive experience in conducting, piano teaching and composing in Russia and in the Albany area. Among her compositions are arrangements of Jewish choral music which Ne’imah has performed over the years. Anna’s talent, professionalism, dedication and patience have contributed to Ne’imah’s longevity and to Ne’imah becoming the Capital’s Region ambassador of Jewish choral music. 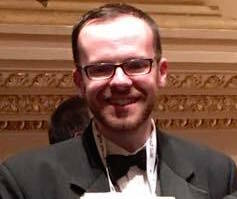 Daniel White, our accompanist, is a recent graduate from the College of Saint Rose in Albany, having received a Bachelor of Science degree in Music Education. He performed as a member of the College of Saint Rose Masterworks Chorale, Chamber Singers, Men’s Glee Club, Madrigal Singers, and the Mixed Vocal/Instrumental Chamber Ensemble. He is currently working as the K-5 General Music and 4th Grade Chorus Teacher in at Schoharie Elementary School. Outside of school, he serves as a Baritone at Saint John’s Lutheran Church in Albany and teaches private piano lessons to students in the Capital Region. In the free time that he has, Daniel enjoys playing piano, whether he’s playing solo, or accompanying All-County Festivals around the Capital Region. Daniel is honored and excited to be participating in his first season with Ne’imah and is excited for what his future holds!